Meghan Markle and the Queen have appeared together again tonight at the second event in one month. The two built on their seemingly close bond at the event this evening. Meghan and the Monarch attended the Queen’s Young Leaders programme at Buckingham Palace. 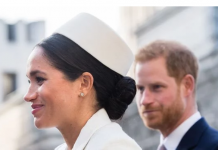 Meghan’s relationship with the Queen has gone from strength to strength as she attended the reception for the first time. 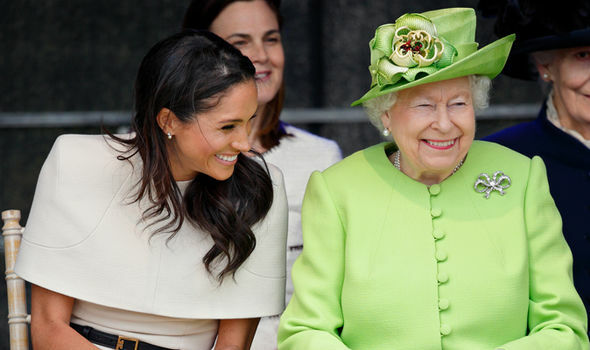 Earlier this month Meghan Markle and the Queen, 92, looked very close on their trip to Cheshire. 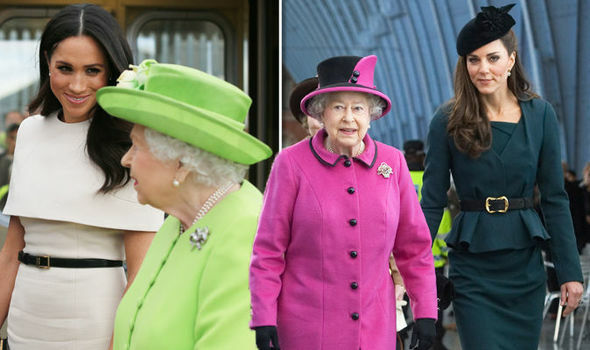 Kate Middleton’s first trip out with the Queen came almost a year after her wedding to Prince William. 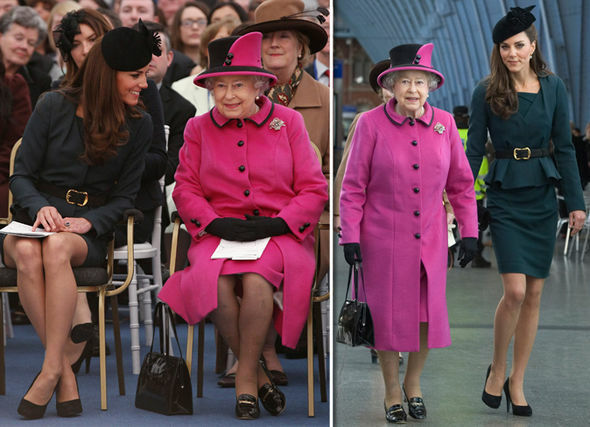 In an image of the monarch and Kate walking in St Pancras station of their first trip out in 2012, Judi claims the Duchess pulled off a tricky situation. 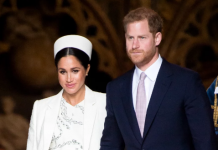 She said: “She managed to pull off the challenging trick of walking slightly behind the monarch but without looking diminished or uncomfortable and this was probably down to her time spent doing the same with William before their engagement. 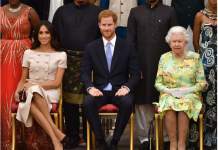 Meghan, on the other hand, looks less relaxed and lower status next to the Queen, Judi said. 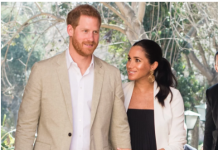 The body language expert told Express.co.uk: “Meghan was thrown into the deep end when she married Harry with little or no royal experience, and although she is clearly putting in an industrial-strength effort to develop her royal poise and body language the fact she is having to learn on the job seems to have created a very different balance between her and the Queen. 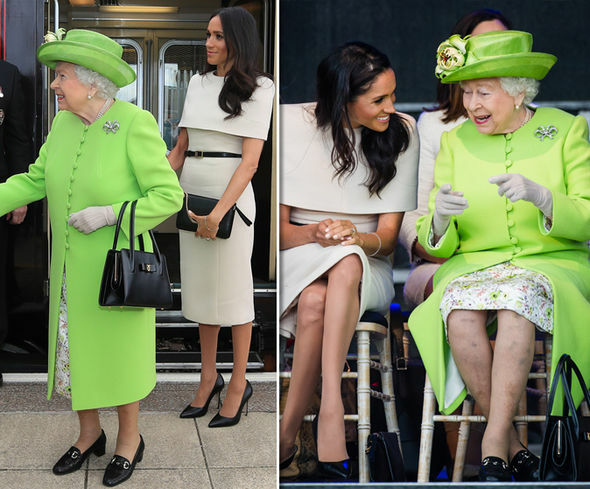 “The shared laughter and affection signals look very similar to Kate’s poses but Meghan is currently looking more like a grand-daughter-in-law than female friend. Kate and the Queen appear totally in tune with one another, Judi said. 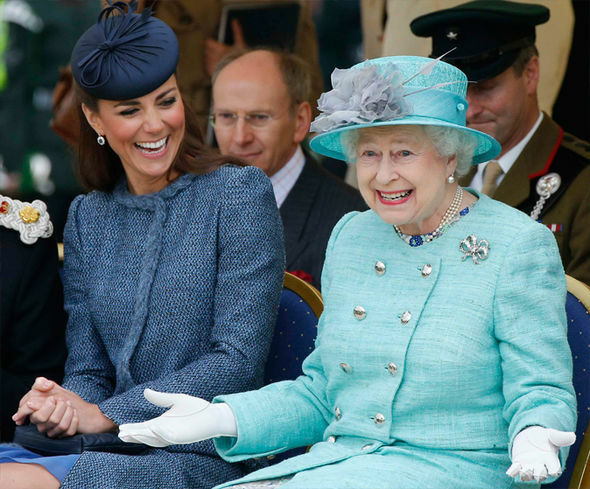 A picture of the pair sharing a laugh reveals just how relaxed the two are as the Queen lets her fun side show. 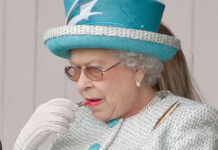 Judi said: “This is a very unusual glimpse of the Queen’s humorous side as she performs a comedy pose to entertain Kate. “With her arms held aloft and pulling a funny face the Queen gets a totally complimentary response here in terms of a genuine, nose-wrinkled and open-mouthed laugh from Kate. Meghan on the other hand shows that she is keen to make a good impression. 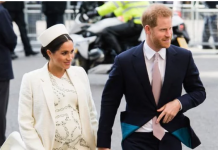 Judi said: “Meghan’s pose here is pseudo-infantile, suggesting a desire to look young and quite cute in a bid to make a complimentary and favourable impression on the Queen. Judi James recently analysed Meghan Markle at Ascot. The Duchess of Sussex had her first royal race day, and she was tasked with handing out a trophy with her husband. What does a body language expert have to say about Meghan’s transformation from LA actress to British duchess at Ascot? How has Meghan perfected her royal transformation? Judi looked at subtle changes to Meghan’s body language since she joined the Royal Family.